Prominent & Leading Manufacturer from Ahmedabad, we offer electromagnetic flow meter, electromagnetic flow meter (magflow meter), digital flow meter, dp flowmeters, thermal mass flowmeter and bore type electromagnetic flow meter. 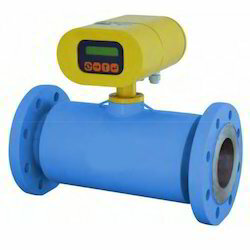 We are offering Electromagnetic Flow Meter. Using time proven electromagnetic flow metering principle, ADDMAS flow meters are available for pipes from ½ “ NB to 12” NB. Since there are no moving parts, the flow meter gives years of maintenance free service. Its performance is independent of temperature, pressure, density and viscosity of the medium. Respond with data. Data to be a message(SMS) from any user. Respond by an SMS to Cell number stored, in case of alarm condition. Nothing projects into the flow stream, no head loss, no parts to maintain. Suitable for corrosive liquid Acids, caustic and Corrosive additives are isolated from the meter pipe by inert linings and compatible electrodes. ADDMAS a versatile Electromagnetic Flow Meter (Magflow Meter) is ideal for conductive liquids such as Raw Water, Chilled water, effluents, Potable water etc. ADDMAS a versatile Digital Flow Meter is ideal for conductive liquids such as Raw Water, Chilled water, effluents, Potable water etc. Meter Sizes 1/2'',1'',2'',3'',4'' ,6'',8'' NB Pipe flanges For Higher size consult Factory. 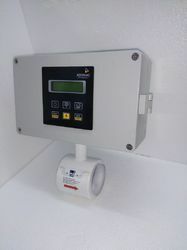 ADDMAS Electromagnetic Flow Meter is a cost effective flow meter for conductive liquids such as Raw Water, Chilled water, effluents, Potable water and industrial chemicals. Easy maintenance as no moving part. Operates over wide range of Pressure and Temperature. Low cost against highest quality. Tolerates High percentage of suspended solids Sludge, slurries, minerals, paper, sewage – flows with high level of solids which can not be measured other type of meters. Acids, caustic and corrosive additives are isolated from the meter pipe by inert linings and compatible electrodes. Suitable for all types of electrically conductive liquids Liquid where conductivity is of sufficient level to induce measurable e.m.f. We are offering DP Flowmeters or Plate Based Advance Orifice Plate Based DP Flowmeters. Provision of a signal output from PLC/SCADA/DCS/Computer connectivity. ADDMAS balanced flowmeter is kinds of energy saving and have several function apertures, which could make flow area balanced into ideal current, leading a innovation to global measurement technology. it has already been widely used among petroleum, chemicals, metallurgy, electricity and natural gas. ADDMAS series balanced flowmeter has a multi-hole disc throttling rectifier which is installed at pipeline section, every hole's dimensions and distribution depend on special formula and data, they are called function hole.when current flows by the hole, it's balanced and vortex minimize, form ideal current and stable differential pressure signal by pressure device, volume flow and a mass flow are cumulated by Bernoulli equation. Currently, energy saving has become the national policy of many countries, which is also most of enterprises focus on. Traditional flow technology makes the fluid lose ideal status, a mass of permanent pressure loss and kinetic energy consume in the vortex. also random and turbulent whirlpool disturb the repetitiveness and linearity of the measuring data, leading lower precision. It operated on the principle that, when flowing fluid flow through obstruction placed in direction of flow, it create pressure drop Called P. This P is proportion to square root of flow flowing liquid/steam/gas inside the pipe. Straight Pipe 15D, only 3D Up Scale and Down Scale Resp. 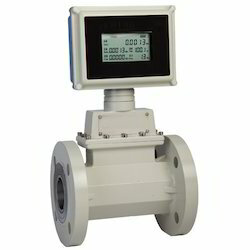 At Thermal Mass Flowmeter is one of the most advanced flowmeter in gas mass monitoring. 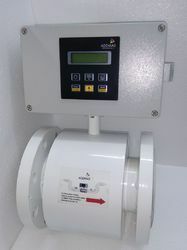 The sensor of AT Thermal Mass Flowmeter is related to flow rate of the gas mass and meet the situation which the temperature and pressure is unstable Thermal sensor consists of two sensing elements - a velocity sensor and a temperature sensor that automatically corrects for changes in gas temperature. AT series thermal mass flowmeter has well Repeatability, ± 0.1% of full scale. The accuracy of system can reach ± 1 %. 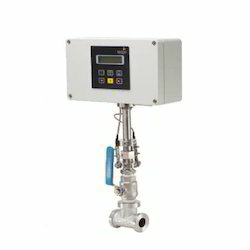 Although the accuracy of other kinds of flowmeter will be better than ± 1 %, but the accuracy is hard to reach ± 1 % through the combination of temperature transmitter, pressure transmitter, secondary meter, the total error for real system will be more than that value, especially when the component of flow changes. Because AT series thermal mass flowmeter directly measure mass flow, it has sensor and transmitter and display by its own. 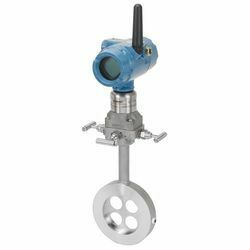 But the traditional gas flow meter need to make up for a measurement system with temperature transmitter, pressure transmitter, secondary meter. According to reliable design theories, obviously, AT series thermal mass flowmeter possess a good reliabilities and measurement accuracies. AT series thermal mass flowmeter use advanced intelligent chips and display alphanumeric 2 x 16 digit backlit LCD, it can display ten digits of cumulant flow and four digits of instantaneous flow and flow percentage and the self-check. There are three keys behind the display, which can switch display content and setting various data. It also can use the remote-control which has three matching keys. You can do all operations by using the remote-control with no cover opened. The unit of flow rate can set kg/h or Nm3/h. The connection has 4-20mA signal output and RS232 communicator, and adopting MODBUS or HART protocol. AT series thermal mass flowmeter can be installed on the level, uprightness and incline duct, but should be upright with duct. 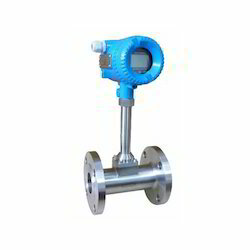 AT series thermal mass flowmeter use flange hold way to installed. It can provide a set of flange, bolt and nut. series thermal mass flowmeter mate flange at random and used for welding on the trapping duct. AT series thermal mass flowmeter usually need 15D straight pipe. When the occasion can not meet this require, you can choose our own rectifier. Industrial and Process Gas Mass Flow. Fuel Flow For Burners and Fuel Cells. General Purpose Mass Flow, Rd. 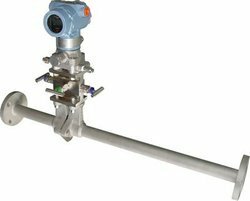 Mass Flow Measurement: Measure and display gas mass flow Resistant: Maximum internal duct pressure is 20 Mpa. ADDMAS a versatile Bore Type Electromagnetic Flow Meter is ideal for conductive liquids such as Raw Water, Chilled water, effluents, Potable water etc. ADDMAS a versatile Insertion Type Electromagnetic Flow Meter is ideal for conductive liquids such as Raw Water, Chilled water, effluents, Potable water etc. ADDMAS a versatile Sanitary Electromagnetic Flow Meter is ideal for conductive liquids such as Raw Water, Chilled water, effluents, Potable water etc. ADDMAS a versatile Compact Type Electromagnetic Flow Meter is ideal for conductive liquids such as Raw Water, Chilled water, effluents, Potable water etc. General ADDMAS Coriolis Mass Flow Meters (here after we call CMF ) is designed according to the Coriolis principle. It can be widely used for the process detecting and custody transfer unit in many industries such as petroleum, Petrochemical industries, Pharmacy, paper making, food and energy and so on. As a fairly advanced kind of flow measurement instrument, it has been paid attention by the circle of measurement and accepted by many customers. 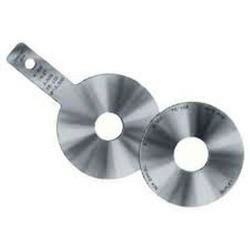 Addmas CMF is designed according to the principle of coriolis force. Under the alternating current effect, the magnet and coil installed on the tube will make two parallel measuring tube. Tube vibrate according to some fixed frequency. Once there is flow passing through pipes, Coriolis force will give rise to deflection (phase shift) on the vibration of two pipes and the deflection of vibration is directly proportional to the mass flow of fluid. This way mass flow rate can be calculated. The vibration frequency of measuring tube is determined by the total mass of measuring tube and inner fluid. When the fluid density changes, the vibration frequency of measuring tube will also change, as a result, the fluid density can be calculated. The DSP chip is the core of digital transmitter of ADDMAS CMF, we know the technique of digital signal processing can greatly increase the accuracy of the flow meter and broaden turn down ration. The sampling rate of a digital transmitter is much higher than the traditional products, so it can provide a shorter response time for the flow, quicker reaction to the change, higher efficiency and better accuracy for the small amount tank loading/ unloading system. 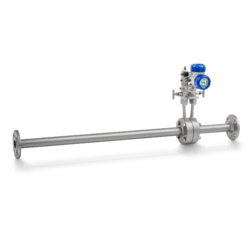 Enable to measure directly mass flow rate of fluid in the pipeline without changing any parameters, which avoids some measurement error of intermediate links. Its mass flow rate can be high accuracy and good repeatability within a bigger range of turn-down ratio. Fluid measured can be more extensive, such as the steady uniform flow of common viscosity fluid, the viscosity fluid, non-Newtonian fluid, slurry containing some solid components and the liquid containing some trace of gas. Due to the small vibration, the measuring tube of ADDMAs CMF can be regarding as non-moving parts, which will reduce the maintenance of flow meter, enhance the stability for the life time. Besides the mass flow measurement, the density and temperature and even consistency can also be maintained. Features: Explosion Proof Weather-proof, Explosion proof. 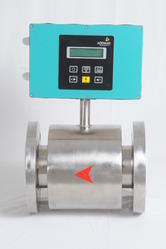 ADDMAS oval PD Flow Meter is a kind of direct-reading accumulating liquid flow meter. 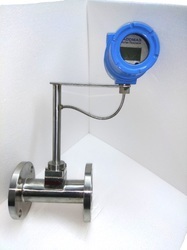 ADDMAS oval gear flow meter adds transmitter mechanism on the basic of ADDMAS flow meter. It possesses many virtues such as large testing range, high precision etc. It is widely used in Flow measurement in industrial field such as oil development, oil refining, chemical, commerce, oil storage. Measurement is made in the testing room. There is a pair of oval gear in it. The pair of oval gear will keep rotating on the axis under the role of liquid pressure difference between inlet and outlet. Testing room: Out cover of instrument is made by cast iron. Inner space and the board consists of the testing room. There are 2 stainless steel axes and a pair of oval gear is sleeved on the axes. The liquid from the inlet will be sent to the outlet through the crescent-shaped space by the gears ‘turn which is driven by pressure difference between inlet and outlet in flow meter. Four times volume of crescent-shaped space will be accumulated while the gear makes one revolution round. The space between oval gear and inner wall of the testing room is very small with tens of micro-meter only to decrease leak of the instrument. Sealing mechanism: The testing room is sealed. The permanent magnetic sealing Mechanism is adopted on the small size flow meter. The partition separates the active and passive permanent magnet . Sensitivity of the structure is high and seal is solid. Poly tetra fluoroethylene plastic is used as packing seal for the big size flow meter. The sealing lining will be extended to seal by change of spring compression through adjusting the nut. The structure is rather simple and convenient for adjustment. Counting mechanism: It includes driving wheel speed ratio adjusting mechanism and reckoning mechanism. The total rotation number and speed of a pair of gears will be passed to the needle and wording wheel of reckoning mechanism after speed changed caused by driving wheel. The total liquid volume and instant flux through the pipe will be known. Speed ratio adjusting mechanism is used for adjusting and correcting errors of instrument. Oval gear flow meter is installed electrical impulses signal transmitter in the counting mechanism of the ADDMAS oval gear flow meter.I.E. one permanent magnet disk is fixed on the transducer is installed on the counter. The transducer possesses merits such as long life, strong capacity of anti interference, wide working frequency, no spark, fearless of oil, grease and dust, small measurement, convenient installation. The solid testing signals can be got without contact when the magnet accesses to the induction surface with the action distances. Permanent magnet driving block diagram of Model DTO flow meter Poly tetra fluoroethylene seal driving diagram of Model DTO flow meter. ADDMAS a versatile Complete SS Type Electromagnetic Flow Meter is ideal for conductive liquids such as Raw Water, Chilled water, effluents, Potable water etc. We are manufacturer of Orifice Assembly with DP Transmitter. 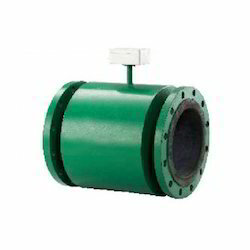 ADDMAS a versatile Flameproof Type Electromagnetic Flow Meter is ideal for conductive liquids such as Raw Water, Chilled water, effluents, Potable water etc. 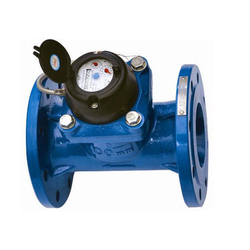 Using time proven electromagnetic flow metering principle, the meter achieves a flow meter for pipes from 15mm to 600mm. Since there are no moving parts, the flow meter gives years of maintenance free service. ADDMAS flow-head can be supplied in Teflon lining or Hard Rubber lining is available with all the features required in a field mounted water metering equipment. These include - weather proof enclosure, communication options, RTC with data logging with printer option and 4 to 20 mA isolated Flow signal transmission option for flow pattern recording. The converter is available as field mounted-IP65 protection category. GSM modem interface can also be supplied as an optional add-on feature. ADDMAS a versatile Liquid Flow Meters is ideal for conductive liquids such as Raw Water, Chilled water, effluents, Potable water etc. ADDMAS a versatile Magnetic Flow Meters is ideal for conductive liquids such as Raw Water, Chilled water, effluents, Potable water etc. ADDMAS a versatile Remote Type Electromagnetic Flow Meter is ideal for conductive liquids such as Raw Water, Chilled water, effluents, Potable water etc. We are manufacturer of Orifice Assembly With Carrier Ring Design. 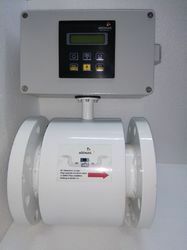 We are leading manufacturers of Turbine Flow Meters. We leading manufacturers of Orifice Flow Meter. 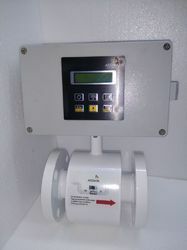 We are offering Gas Flow Meter. 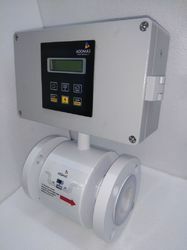 We are manufacturer of Venturi Meter.